The third slain Baton Rouge police officer has been identified after a senseless attack left three officers dead on Sunday, July 17. Who was Brad Garafola? The 45-year-old was a family man and he was dedicated to his work. 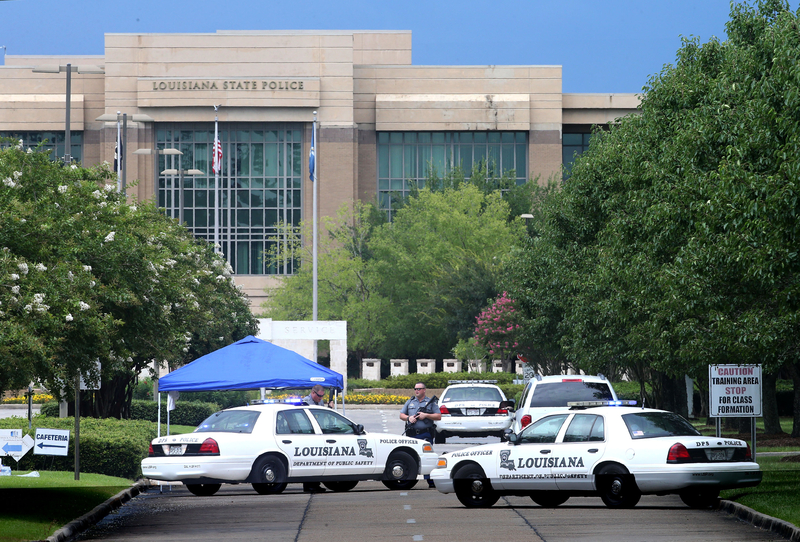 Garafola was part of the East Baton Rouge Parish Sheriff's Office where he reportedly served as a deputy, according to The Advocate. Garafola's wife, Tonja, told The Advocate that it was her husband's last shift before they had plans to leave for vacation on Monday morning. Garafola had reportedly been working extra duty on the morning of July 17; his shift ended around 8 a.m. and the gunman opened fire around 8:30 a.m. He is survived by his wife and their four children: a 7-year-old daughter, a 12-year-old son, and a 15-year-old daughter who all live in Baton Rouge, Louisiana, as well as a 21-year-old son who lives in Texas. He loved us so much. He was always bragging about his family. He was a great guy. Not just a great law enforcement, he was a great husband and a great father. He didn't deserve this. He always helped everybody. ... Everybody on this street depended on him. Although Garafola was reportedly from a family with a long history in law enforcement, Tonja said he was skilled in many areas and enjoyed working on fixing things. He had built a pool deck and was recently working on two cars in his garage at home, one of which was for his 15-year-old daughter who will be driving soon, The Advocate reported. "He loved staying outside and fixing things," Tonja told The Advocate. "Besides the Sheriff's Office, that was his passion." Garafola was one of three Baton Rouge police officers who lost their lives too soon in a calculated attack that sought out law enforcement specifically and killed innocent officers mercilessly.